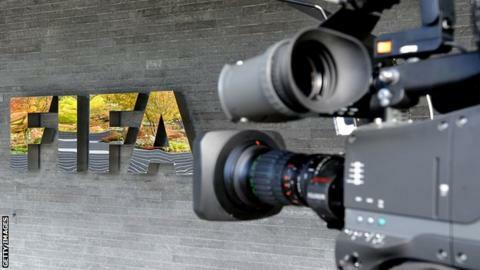 World Cup corruption: Could Fifa be set to perform report u-turn? Friday's vote by Fifa executives on whether to release Michael Garcia's World Cup corruption inquiry report could be a closer run poll than first expected. Sources close to Fifa's leadership have told BBC Sport many executives not involved in the decision to award World Cups to Russia and Qatar feel increasingly tainted by association with the report and could back the release of a redacted version of Garcia's findings. Germany's Fifa executive committee member Theo Zwanziger is seeking an amendment to the ethics code so that the full report can be published, as long as it is edited to protect the identities of the 75 witnesses who gave evidence during the two-year investigation. A number of Fifa officials also believe the report's publication could help demonstrate how and why Russia and Qatar were cleared of wrongdoing in the bidding process for the 2018 and 2022 tournaments. Garcia, who quit on Wednesday in protest over the handling of his report, spoke of his lack of confidence in Fifa and Hans-Joachim Eckert, the German judge who summarised his findings for public release. The American lawyer, whom BBC Sport understands was paid $6m during his two-year tenure as Fifa ethics investigator, pointedly referred to "edits, omissions and additions" by Eckert. With six Fifa executives believed to be in favour of releasing the report, it is thought at least seven additional votes could be required for Zwanziger's proposal to get the go-ahead. The position of Fifa president Sepp Blatter is unknown but his influence with executive committee members will be crucial to the outcome. Algerian Fifa executive Mohamed Raouraoua is thought to be among those who could be persuaded to join reform-minded colleagues.